YOU's resident movie boff picks the top 5 films released in SA this year. YOU's resident movie boff picks the top 5 films released in SA* this year. One of the most distressing aspects of this quietly devastating but ultimately uplifting film is that the situation it depicts isn’t that unimaginable. Over the past few years so many such cases have come to light that the idea of a young woman and her son being held captive in a shed behind an American suburban house is an entirely plausible plot for a drama, not a horror film. A less sensitive director might have tried to shock the viewer from complacency by sensationalising events. Instead Lenny Abrahamson tells the story from the little boy’s innocent point of view. Brie Larson’s naturalistic performance deservedly won her an Oscar but wouldn’t have been half as affecting if it hadn’t been for the nuanced acting of seven-year-old Jacob Tremblay, whose portrayal will make see the wonder of the world through the eyes of a child again. Disney Animation Studios’ revival under Pixar co-founder John Lasseter continues with its 55th animated feature, a vibrant, richly detailed and inventive film that ranks among its best. Starting with Mickey Mouse, Disney has had huge success with cute, anthropomorphised animals but with Lasseter’s input Zootropolis (also known as Zootopia) gives this idea a brilliant fresh spin with added depth and inventiveness. The fast-paced central mystery is engaging and clever while the filmmakers add various layers of meaning that you’re free to interpret as comment on racism, xenophobia or elitism. A thoughtful, beautifully animated film that should entertain viewers of all ages. Although ostensibly Captain America’s third solo adventure, this high point in Marvel Studios’ output is really the superhero team-up the somewhat disjointed Avengers: Age Of Ultron (2015) should have been. Directors Anthony and Joe Russo have crafted a superbly entertaining action adventure with spectacular fight sequences, lots of wit and great, unexpected appearances from other Marvel superheroes that will have fans squealing in delight. Add a refreshingly different type of villain and finale and you have the best comic-book movie since The Dark Knight Rises (2012). Thank goodness JK Rowling stepped in to write the screenplay when movie executives – fresh out of ideas or inspiration – wanted to turn this into a mockumentary. 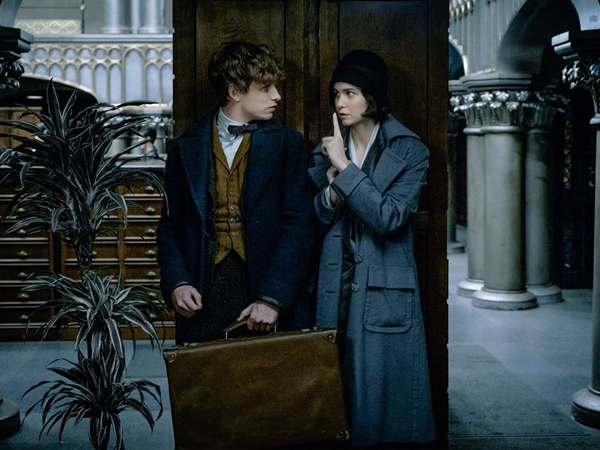 Instead this beautifully crafted film is just what Harry Potter fans have been craving as it expands the wizarding world while still offering an entertaining adventure packed with mystery and suspense. Shifting the setting from modern-day Britain to ’20s New York keeps things fresh and fills in some of the tantalising blanks about some events and characters only mentioned in Harry Potter. The deft blend of real history with Rowling’s wonderful imagination makes for a gripping tale, and various hints about what’s to come in the sequels just adds to the excitement. The 2016 Oscar winner for best picture might not be as flashy as the other contenders but sometimes a powerful story expertly told can completely bowl you over. Rather than exploiting the shocking details of the Catholic Church’s cover-up of child abuse by priests in Boston, US, director Tom McCarthy wisely steers clear of sensationalism and histrionics (except for one well-placed outburst that’s sorely needed to relieve the tension).Instead of distracting the viewer with flashy camera angles and visuals, the director focuses attention on the facts as they’re meticulously gathered.This is a true ensemble piece, with the excellent actors’ naturalistic performances adding to the sense of realism. A compelling film that deserves all its accolades. * these films hit SA screens in 2016, but may have been released internationally earlier.